The name Pahadi derives from Pahar (पहाड़), meaning "hill", referring to the Himalayan Hill Region. India’s premium tea industry has traditionally been a closed ecosystem with a select number of ex porters or distributors. Also, out there in the world, fresh premium Indian tea is still a scarce product, and even if it is available, the number of varieties and types that exist are still not reaching the tea lovers to be relished and experienced with joy. 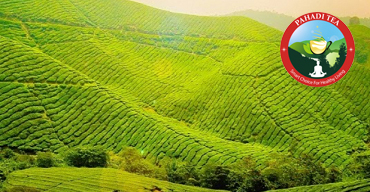 Pahadi Tea is successfully making a sincere attempt to reach these tea lovers across the world by creating a brand of Indian Tea that will offer them all the varieties and soothe their taste buds with ease and without customers in any part of the world having to rely on traditional sources. Pahadi Tea strives to bring the finest grown teas to your cup by working hand in hand with a group of small tea farmers from north east India, who produce only a small quantity of high quality handcrafted teas in a year using sustainable agricultural practices. By choosing our tea you are empowering these farmers with enhanced livelihood opportunities and improved living standards. Every tea lover understands that tea is best when it is fresh from the gardens, to accentuate the same freshness, we stepped in to bring forth the much needed innovative tea specific supply chain mechanisms and innovations for timely delivery of tea. And that too without compromising on the impeccable flavor, irresistible essence and the ever soothing taste. We import our teas direct from the artisan farmers. This makes our teas fresher and also less expensive.